This is the Singapore National Museum. Quite impressive from the outside. A spanking white building and neat lawns. The architecture of this museum is very attractive. 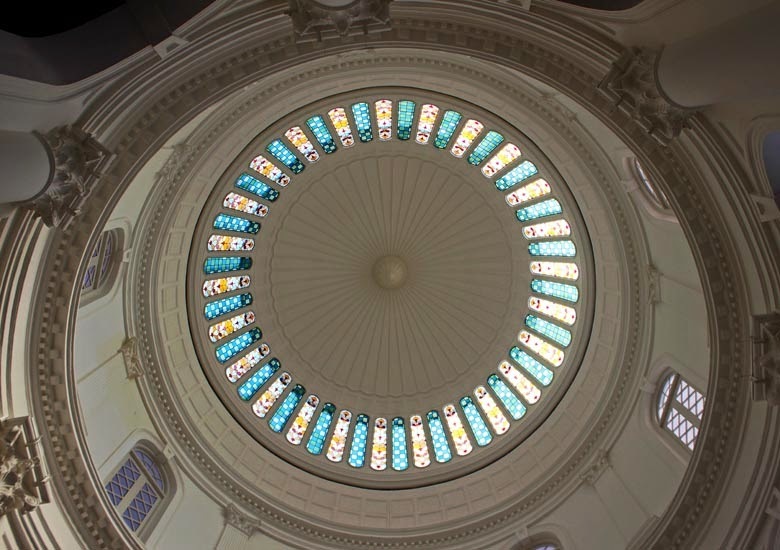 As soon you enter there is a very high ceiling and a huge dome. 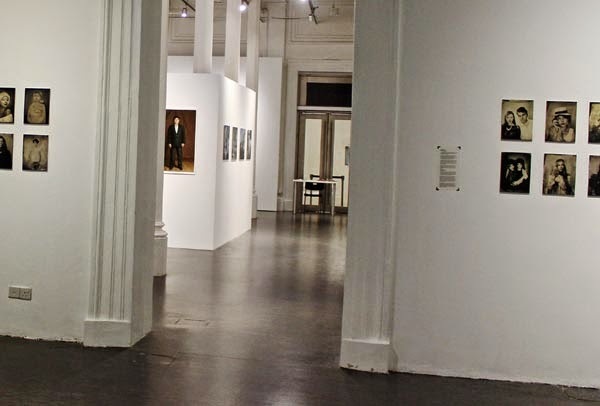 To the right there are art galleries, and there are some upstairs too. To the left are some restaurants. Go on ahead and you come to a seemingly outdoor area but it is covered completely from the top although it lets the sunlight in. 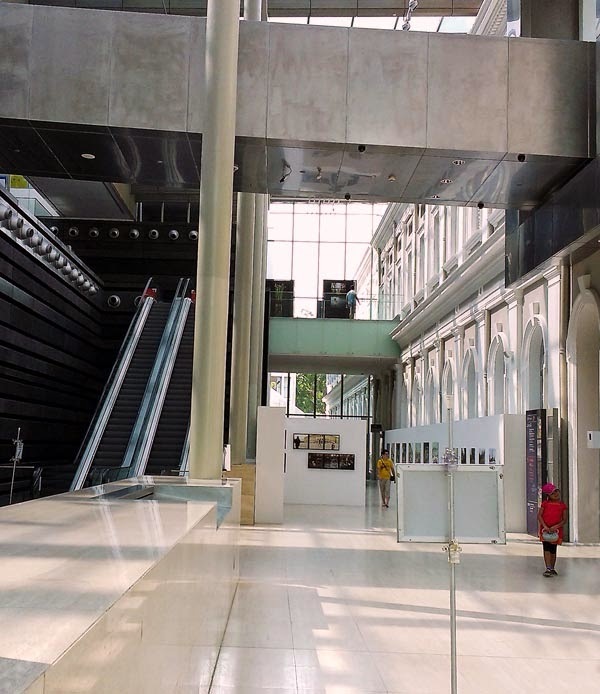 There are art exhibitions and galleries to the right and an escalator which leads to the top where the main attraction - a visual display of the history and culture of Singapore is shown. To the left of this open (yet covered) courtyard area there is a popular restaurant which serves organic and natural food. Fruit juices are not freqently found in Singapore cafes, but here we had a fresh orange juice for just 5 Singapore dollars. Here the price of an average wholesome meal ranges from 7 - 12 Singapore dollars and a few snacks/salads/drinks for half the price. 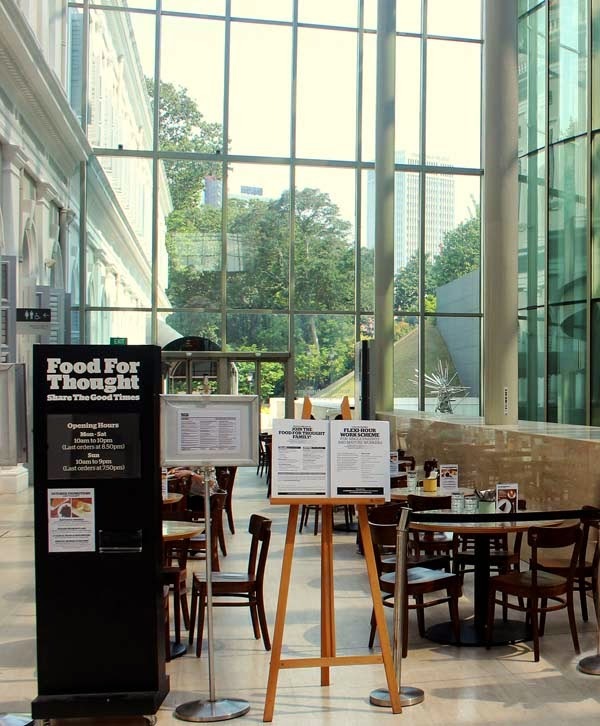 There are other Food For Thought restaurants in Singapore. To the right of the image you can get a glimpse of a pathway to the main auditorium where the display of Singapore's history is shown. Or check out all the images in the Sistine Chapel including that of exterior architecture and other types of art.